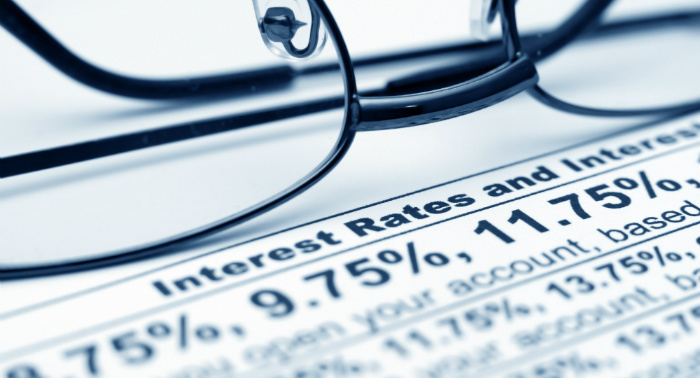 Usury laws cap the interest rates that can be charged on a line of credit or loan. More than half of all U.S. states today have usury laws in place, and each dictates its own maximum legal limit. However, they have no effect on most credit cards, thanks to effective deregulation that began in the ‘70s. For decades since, usury laws have remained in the economic spotlight, with constant debate centering on whether they should be changed or maintained. Many decry usurious practices for hurting consumers while others claim that the absence of usury laws open up access to credit for more people. The debate is one that surely will continue for years to come. In the meantime, we offer you insight into the background of usury laws. At the end of this guide, you can also read thoughts from several economics and law experts to help you understand how usury regulations affect consumer credit. Usury limits vary by loan amount, loan type and issuing institution, depending on the state. Some states apply uniform laws across all loan types. Other states impose different rates on judgments, written loan agreements, mortgages, business loans, educational loans and other loan categories. And they vary those limits based on whether the issuing institution is a state bank, savings association, credit union, licensed lender or other financing organization. For illustration purposes, the usury limits included in the graphic below apply specifically to consumer installment loans of $2,000 issued by banks and are current as of June 27, 2014. Keep in mind that usury laws in each state can change periodically. The information in this guide serves as a reference only and is not intended to provide legal advice or interpret the law. You should consult your state government directly for the current usury law, if any, in effect. Note: 50 was used as a placeholder for the states with not interest rate limit. To appreciate the complexity of how usury laws apply in each state, here’s an example using Virginia’s regulations: Under Section 6.2-303 of the Code of Virginia, the highest permissible rate a lender can charge a borrower is 12 percent per year for a loan with a written contract. Several types of loans and financial institutions are exempt from this law. Two such loan sources are state banks and savings institutions, which are free to charge any interest rate to which a borrower agrees, as stated in Section 6.2-310. The same rule applies to credit unions. Student loans provided by Virginia’s private colleges and universities and certain loans secured by a mortgage or deed of trust are exempt from the 12 percent limit as well. But a licensed consumer finance company, or “a person engaged in the business of making loans to individuals for personal, family, household, or other nonbusiness purposes,” is subject to slightly stricter regulations with respect to loan amounts: For loans of $2,500 or less, the company may charge a maximum interest rate of 36 percent, and for loans of more than $2,500, any rate. Herrick K. Lidstone, Jr.: Burns, Figa & Will, P.C., Denver, Colo. Although usury laws are still in the books, whether they actually apply depends on the type of financial institution and where it is based. Usury laws have no effect on most banks and credit card companies, especially if they are headquartered in states with no defined maximum interest rate limits. Usury regulations do, however, apply to nonbank lending companies such as payday lenders — many of which recently migrated their operations online and affiliated with Native American tribes in an attempt to circumvent financial regulations. Infamous for charging harmfully excessive interest rates of 500 percent or more, payday lenders have been under legal fire for years. In New York, for instance, Attorney General Eric T. Schneiderman sued several payday lenders conducting their business online and charging New Yorkers interest between 89 and 355 percent. The state’s usury ceiling is 16 percent. In January 2014, Schneiderman’s office and the lenders reached a settlement, ordering the companies to stop collecting interest on outstanding loans and provide refunds to New York borrowers. Drawing from the previously mentioned case as an example, nonbank lenders have an obligation to comply with the usury law of the state where the borrower resides. Even if that borrower relocates to a state with a tougher or more lax usury law, the lender must still abide by the law of the state where the borrower lived at the time the loan was provided. Nonetheless, interest rates are not the only issue. Although interest is capped in some states and certain states will even restrict the amount of fees that lenders can charge, the combination of interest and fees still can end up costing borrowers more than the usury interest rate cap. Usury, the practice of lending money at unreasonably high interest rates, has a long, drawn out history dating back to Biblical and Roman times. In the religious texts of Buddhism, Christianity, Islam and Judaism, usury is uniformly condemned as a practice that unfairly advantages the wealthy and exploits the poor. Today’s legal context of usury traces its roots from the same moral rules that governed ancient societies, cultures and religions, including Christianity. Back then, codes of morality, law and religion were the same. In other words, usury laws regulating interest, as we understand them today, were no different from the Biblical laws that protected vulnerable groups of society, which extended to lending practices. In Christianity, particularly, any interest on a loan was considered sinful. “If you lend money to one of my people among you who is needy, do not treat it like a business deal; charge no interest.” -Exodus 22:25 (NIV)In the above verse, Jews were forbidden from charging interest to other Jews. “You may charge a foreigner interest, but not a fellow Israelite, so that the Lord your God may bless you in everything you put your hand to in the land you are entering to possess.” -Deuteronomy 23:20 (NIV)The preceding passage extends the previous. In this verse, Jews could lend to other Jews but charge interest only to non-Jewish people. Although U.S. states set their own maximum legal interest rates, a Supreme Court interpretation of the National Bank Act of 1864 preempted state usury laws and created a path toward a national consumer lending economy. The most important federal case in credit card interest rate deregulation was decided in 1978. Marquette National Bank v. First of Omaha Service Corporation involved Minnesota-based Marquette National Bank of Minneapolis and First National Bank of Omaha, headquartered in Nebraska. Minnesota usury law capped the state’s interest rates on loans at 12 percent. Under Nebraska usury law, banks could charge up to 18 percent. Minnesota banks imposed annual fees to make up the difference. First of Omaha then offered credit cards with no annual fees to Minnesota residents, for which Marquette sued in violation of Minnesota usury law. In an opinion written by Justice William J. Brennan, Jr., the Supreme Court ruled that nationally chartered banks could charge the legal interest rates in their home states and “export” those rates to out-of-state customers. The Court’s interpretation of the National Bank Act held that state usury laws did not apply to nationally chartered banks. The Marquette ruling paved the way for the 1980 Depository Institutions Deregulation and Monetary Control Act, or DIDMCA. Section 521 of DIDMCA granted state-chartered banks the same right as nationally chartered banks to “export” their interest rates. In other words, the law allowed all FDIC-insured banks, including state-chartered banks, to charge the highest permissible interest rate in their home state to out-of-state customers, regardless of where the customer lived. States responded by passing their own “wild-card,” or “parity,” statutes enabling state banking regulators to grant state banks the same privileges of national banks. In the 1996 case of Smiley v. Citibank, Barbara Smiley of California had been charged a $15 late fee on her credit card bill, which she argued in court violated California state law. She filed a class action lawsuit against Citibank's credit card division in South Dakota and lost. The Supreme Court upheld Citibank’s justification that the late fee was charged as interest on Smiley’s credit card. Under the National Bank Act, the term “interest” included “fees,” making them immune to state regulation. From that point forward, late fees and other fees increased from $10 or $15 to as high as $39. That was until the Federal Reserve Board capped late fees at $25 per transaction under the Credit CARD Act of 2009. For more than a century, the Arkansas state constitution allowed the state to cap credit card interest rates. Under Amendment 60, approved in 1982, Arkansas could charge a maximum interest rate of 5 percent above the federal discount rate. Even with the passage of DIDMCA, Arkansas held on to its usury ceiling. Local banks complied and charged rates within the state’s limit. However, national banks with branches located in Arkansas charged much higher rates to Arkansas residents in violation of the state’s usury law. Arkansas-based banks considered this unfair as the national banks headquartered elsewhere were allowed only to export their rates to Arkansas customers under DIDMCA, not charge them at branches physically located within the state. But in 1999, Congress passed the Gramm-Leach-Bliley Financial Modernization Act. Section 731 of the law specifically targeted Arkansas. It stated that the maximum permissible interest rate in Arkansas was the greater of either the Arkansas usury limit or the rate charged by out-of-state banks with branches in Arkansas. In other words, local banks could then assess the same rates charged by national banks with locations in Arkansas. The Act essentially overrode the state constitution. Restoring American Financial Stability Act: In 2010, Rhode Island Sen. Sheldon Whitehouse and 16 other senators proposed the Interstate Lending Amendment. More commonly known as the Restoring American Financial Stability Act, #3746, the legislation would have restored state powers to the pre-Marquette era, returning to states the ability to cap interest rates. By doing so, the amendment’s sponsors promised to level the playing field for intrastate lenders so they may compete fairly with national credit card companies. Restoring America’s Commitment to Consumers Act: Two years later, U.S. Reps. John Tierney, D-Mass., and Louise Slaughter, D-N.Y. introduced Restoring America’s Commitment to Consumers Act, or H.R. 4084. The bill was aimed at capping credit card interest rates at 16 percent. Although the legislation was intended to lower interest rates for high-risk credit card applicants, opponents of usury laws argued that the proposed law would have denied credit to consumers with poor credit ratings, increases annual fees and diminished rewards. Although creditors may charge exorbitant interest, they may pay an even higher price for violating state usury laws. Although statutory remedies vary among states, some common penalties include invalidation of a borrower’s obligation to pay interest, recovery of double — even triple — the usurious interest paid, nullification of a loan contract or assessment of fines ranging between three and six figures. Some states impose severe criminal penalties amounting to imprisonment. In California, for instance, a borrower is entitled to recover all, not just the excessive, interest charged on a loan. The borrower’s obligation to pay interest becomes invalid. And, at the court’s discretion, the lender may be ordered to pay triple the amount of interest the borrower paid during the year prior to the start of the lawsuit. Although rare, local prosecutors also may charge a felony punishable by up to five years in prison. North Dakota imposes one of the harshest penalties in the country. In a successful lawsuit, the lender must pay all interest as well as 25 percent of the principal amount of the loan. In terms of defenses against usury claims, none really exist though some attorneys might claim otherwise. No matter the circumstances of the loan, so long as it is usurious, the lender is nonetheless liable. Ignorance of the law is no defense. At the end of the day, a usurious loan may be corrected if a lender and borrower enter a revised agreement with a legal interest rate. In addition, the lender would be required to refund any usurious interest previously paid by the borrower and also disclose in writing which portion of the loan was usurious. As a result of the Marquette decision, states recognized an opportunity to boost economic growth during hard times. South Dakota’s economy in 1980 was in turmoil. At the same time, Citibank had lost more than $1 billion in revenue from its credit card business. Attracted by Citibank’s offer to bring 400 high-paying jobs to the state, South Dakota was first to entirely eliminate its usury laws. Citibank relocated its credit card division to South Dakota in 1981 and actually expanded the state’s banking industry by 3,000 new jobs, far more than the 400 jobs the company initially proposed. The move created a strong incentive for credit card companies headquartered in other states to move as well. Delaware was among several states that soon passed similar legislation, repealing its own usury laws and permitting “unlimited” interest rates. Delaware’s first recruits were Maryland’s four largest banks. The states that did not follow South Dakota’s lead, however, found that the credit card segment of their banking businesses would eventually be absorbed by states that repealed or loosened their usury laws. Other states responded competitively by offering lower rates to their customers. But by 1982, most of the states that were home to the biggest banks had tossed their usury ceilings. The newly based credit card companies found themselves catering to a formerly ignored market: low-income, high-risk borrowers. Although state economies grew as a result of welcoming credit card companies into their borders, the cost in return was also high. Cardholders were willing to pay excessive interest rates on credit cards even after inflation subsided. The extension of consumer credit availability, often referred to as the “democratization of credit,” led to the rise in bankruptcy filings during the next several decades. High consumer debt levels deprived many Americans of their ability to acquire and protect financial assets. Because of the federal actions that rendered usury regulations functionally irrelevant, there is virtually no interest rate cap applicable to credit cards today. Competition among credit card companies and banks remains the only factor keeping interest rates at their present levels. Today the highest credit card rate goes as high as 36 percent, much higher than the 24 percent cap set by states with tighter usury limits. While the 36 percent rate is considered usurious under many states’ usury laws, that figure is nonetheless legal. So long as the rate is listed on your cardholder agreement and you agree to it, the deal is kosher. One positive effect of deregulating credit card rates involved extending credit to more consumers across the country. It amounted to more choices and increased consumer access to capital. At the same time, however, widespread credit card availability allowed Americans’ overall debt levels to soar over the next several decades. In 1978, total revolving debt stood at $48 billion. By 1985, that figure was $131 billion. More than two decades later, in 2008, the Federal Reserve reported that total revolving debt had reached a high of $992 billion. In 2014, total U.S. consumer credit card debt stands at more than $850 billion. Just a year prior to the Marquette decision, credit card ownership also rose from 38 percent of American households with at least one credit card to 56 percent by 1989. With more than 160 million Americans who now have credit cards, the current figure is 71 percent. Let Your Creditor Know: Some creditors will be willing to work out an alternative repayment schedule with you. If you do this, ask about possible fees and costs you may incur for extending the payment period. Also, make certain you can keep your end of the bargain, or you may lose any goodwill from your creditor. Get a Paycheck Advance: Some employers allow their employees to draw advances against future paychecks. Ask your employer if this option is available to you and what steps are required to obtain one. Reduce Your Tax Withholdings: You can have extra money now by reducing the number of withholdings from your paycheck instead of waiting for a refund at tax season. Seek Credit Counseling: Licensed, not-for-profit credit counselors are excellent resources for assessing your financial situation. They can help you plan a budget, arrange for lower fees and interest rates, get charges waived or ask creditors to stop harassing you. Maximize Your Credit Score: People with excellent credit scores and payment records have greater options. For one, they have access to the cards with the lowest rates and the best rewards, which can help to lower interest costs on existing debt, pay for purchases with no interest and save on every transaction. There are ways to improve your credit score no matter how bad it may be, so make sure you leverage them. Budget & Save: With no laws in place to cap credit card interest rates, responsible spending still rests in the hands of consumers. The best defense against usurious interest rates is to spend within your means and build a financial safety net. Use the Island Approach: This credit card strategy involves isolating different types of transactions on different accounts in order to garner the best possible collection of terms and avoid paying interest on your everyday purchases. Ask for a Lower Rate: If your credit score has improved in the past six months, ask your credit card issuer for a lower rate. Otherwise, you should transfer your balance to a card with better terms. I have a vehicle loan that does not have a fixed interest rate. The rate is assessed daily based on my credit score. Apparently, this is legal in Florida. Is this legal in most states? I currently have a loan I'm paying on (to Redpine Lending), of $400. By the time I've paid this off (in October), I will have paid over $1,000. Is that legal, and if not, what can I do about it?